In his article published previously in the Daily FT, Ravi Karunanayake (the MOF during the period of the infamous CBSL bond scam) appears to have attemptedto pull wool over the eyes andto make a mountain out of a molehill. This exercise gives an impression that Ravi K’s juxtaposition had the attribute of making him forget everything in his own history. While I have no intention of stating anything unfair and untrue to unduly establish innocence or to exculpate someone who does not deserve to be so, I thought of reiterating some of the events associated with the bond fiasco to put the record straight. I wish to be daring and bold to denounce Ravi K’s branding of Dr.Wijewardena as an 'economichit-man'! Many politicianswould hesitate to castigatea renowned professional and only afew would rush to chastise such persons. It is public knowledge that Dr. W.A.W’s services were sought after on several occasions during the bond scam investigations itselfbesides severalo ther nationally important instances where his voluntary participation was requisitioned by authorities on the basis of expert advice. 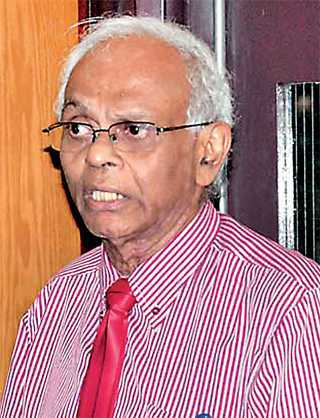 The reference to the retirement benefits enjoyed by Dr. Wijewardena is not a matter to jeer at by anyone in good senses. They are the legitimate hard-earned worker rights cherished by all employees. The exaggerations apart, a senior executive who retires after a long service span of about 30 years in any recognised institution become entitled to a retirement benefit package. Unlike the politicians bestowing upon themselves lifetime pensions and other privileges which they will never have access to during the passage of their normal life, such normal retirement benefits should not be envied. I have no doubt that tens of thousands of bank employees retired as well as in service would laugh at such silly remarks particularly when made by people elevated to high placesdue to irony of circumstances. Karunanayake’s claim that he has successfully changed the policies of the IMF and the World Bank to suit the wishful means of “ helping the poor” sounds as tomfoolery as many such ludicrous pronouncements by politicians time and again. IMF and World Bank are institutions which are intended to serve the member countries in their lawful activities to develop and sustain their economies. The approaches of these bodies are quite different and at variance with naive politicians who dabble with gimmicks to bamboozle voters. We recall how Ravi K in his first interim budget of the Yahapalana Government created an artificial revenue base to hoodwink those who were demanding a 6% allocation for education. This nonsensical proposal sent shockwaves in the financial circles and was criticised by even the IMF. As a corrective measure the PM had to make a new policy statement sounding little more rational and his successor had to make the corrections subsequently. The country was taken for a ride by Ravi K as the MOF making public statements about a Belgian investor who has agreed to bring billions of dollars to support our ailing economy. His personal consanguinity supplement, however evaporated into thin air not only making it the laughing stock in the financial circles but even inviting the global focus of those who were concerned with international money laundering. We also witnessed the amendment of Exchange Control Act-styled Foreign Exchange Act, surreptitiously providing for the exculpation of some who were previously charged with foreign exchange violations! The Finance Ministry anyway is not a place to craving daydreamers and unless supported by knowledgeable economic experts would send a country to doldrums. We need free thinking, unbiased and unpolluted economic wise kids to direct the country in the proper directions. Therefore instead of being contingent on behind the scene interventions of characters with ideologies to activate their global ambitions such as Anthony Fisher and Milton Friedman we have to encourage and rely on our own resource base of economists. In such a context it is matter for regret that our politicians resort to desecrate our limited experienced and outspoken few in the field and subject them to vilification. It may be this undependability on persons like Ravi K that made PM Wickremesinghe to seek the assistance of HCID, (Harvard Universitiy’s Centre for International Development) financed by multibillion dollar currency speculators such as George Soros to help design his vision 2025! Now I wish to deal with some of the falsities of Ravi K about the Bond Scam and CBSL operations. His repeated reference to something he calls private placements in bond transactions appears to be an attempt to give a wrong colour. There is nothing in the CBSL terminology called private placements. They are called direct placements. The word private is deliberately used by the strong defenders of the bond scam to show that the CBSL has been in the practice of allocating bonds to private individuals. This is far from the truth because the CBSL deals with regard to bond issues are strictly confined to Primary Dealers who are duly registered underregulatory provisions.With regard to the practice of direct placements,Mr. 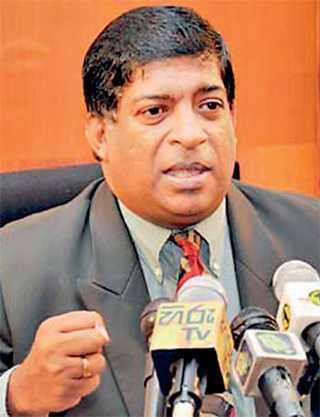 Karunanayake’s knowledge appears to be either limited or he is making a deliberate attempt to distort facts. When bonds are issued under direct placements the rates are not determined according to the whims and fancies of the officials. There is an established practice in the CBSL to decide the rates taking into account the prevailing yield curve. This practice was started in 1997 during the period of A.S.Jayawardena as the Governor in order to avoid and stop a monopolistic trend of the Primary Dealers to fix the rates in their own interest. The EPF was given the opportunity to come into play and the system operated successfully with the EPF serving as a contingent buffer to prevent any errand operation by PDs. In 2002 late Choksy as the then MOF issued a gazette regularising and extending the purchase of TBs under direct placement. This was necessitated due to the CBSL switching over to the Script less procedure following the amendment of the Act. We need no other evidence to understand the importance of this system other than the consequences of the two bond scams of 27 February and March 2016. Huge amounts were acquired by PDs who had inside information and private favourationdue to suppression of the direct placement method arbitrarily on a direction by the Prime Minister. It would suffice to state that the country suffered losses and continue to suffer to the tune of billions! R.K.’s reference to the conflict of interest of the CBSL in playing the role of the investor and the purchaser is mere balderdash. In 1949 the public debt subject was assigned to the CBSL under the Monetary Law Act. In 1958, when late T.B.Illangaratne initiated the enactment of the EPF, the CBSL was made the custodian of the fund by law. It is under this arrangement that we are still continuing the investment activity and the monitory control of the EPF while the PDD is acing in the best of interest to raise funds at the cheapest rate to the Government. RK may not be aware of many inside stories that the officials of the CBSL attached to the EPF are privy to. When one-time the Secretary to the Treasury wanted the funds of the EPF allocated to the Government at a very low cost they vehemently opposed and ended up by entering into an arrangement that the EPF should be given five points over and above the market rate when investing under direct placement. Whatever a person like RK has to allege the entire working class of this country would wholeheartedly endorse and appreciate such a move in a context of Government always restricting the interest incomes of the EPF directly as well as through taxation indirectly. In his article RK has referred to a board paper purported to be signed among others by Dr.W.A.W. It is very strange why RK does not understand that it is only a recommendation made by four officials in their official capacity for the due consideration of the Monetary Board. It is the approving authority that has to take the final responsibility and not Dr. W.A.W.! The CBSL officials who were faced with extremely difficult and vulnerable situations in the past, when the country was at war with a murderous gang branded by the whole world as the most dangerous terrorist group, and the country had no support even to obtain required arms, the CBSL under the Governorship of Mr. Cabraal played a great role in sustaining the economy. We never heard of any constraints faced to pay the salaries of public servants unlike nowadays. RK may not be aware that even those countries which agreed to supply arms did so on the basis of a trading arrangement and not as any grant. The LCs that were opened had to be honoured in three months. The BOC which had to bear the burden never defaulted any of those obligations. It was a trying time to manage an ailing economy. But the CBSL team under Mr. Cabraal managed it beautifully. Therefore we desist and disapprove any mudslinging due to personal and political reasons.We recall with humour the buffoonery expressed by certain politicians during the climax of the war, referring to Alimankada as Pamankada and Kilinochchi as Medawchchi and the Opposition Leader referring to the conquering of Thoppigala as some unimportant event. When the country was short of funding the Government on the advice of the CBSL then resorted to borrowing RS 500 million from private sources with HSBC as the lead bank, those in the opposition then like RW and RK demonstrated opposite HSBC threatening that they will not repay the obligations when they come into power. Such were the interests of the likes of Prime Minister Wickremesinghe and former MOF Ravi Karunanayake. While hailing those who saved our country from the clutches of a worst terrorist group and those who supported such moves we wish to point out that with no war RWs and RKs have sent the country to down to economic doldrums. I too was branded as a hit-man for my involvement in exposing the bond scam by some including the footnote clique but I trust the readers would consider the objectivity of my article which includes facts which are stubborn!